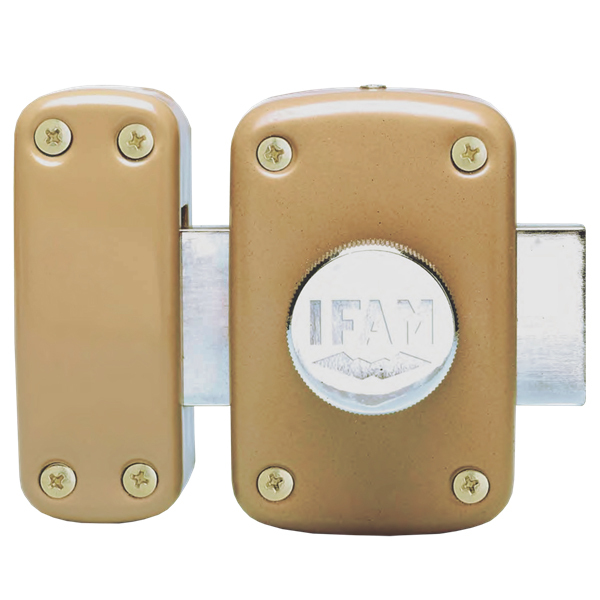 New from Spanish Lock manufacturer IFAM, is a nice range of gate locks each of which have been specially designed for outside use. All of these locks can be fitted to a left or right hand door as the bolt extends out of either side of the lock body, but all operate in a slightly different way. 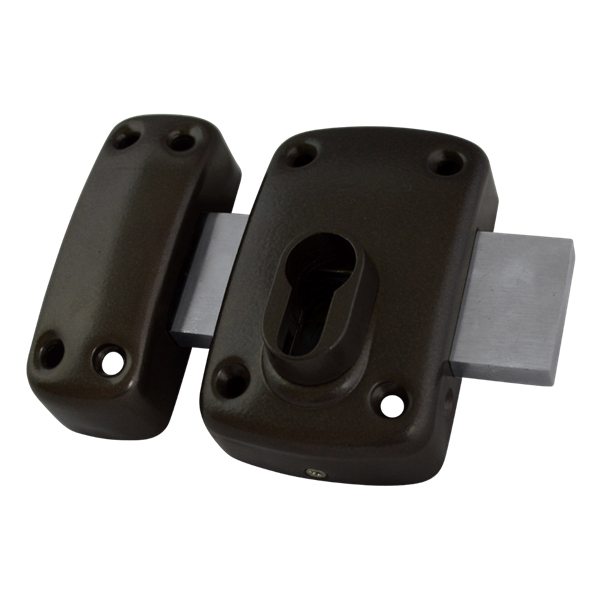 The CS88 rim lock from IFAM has an internal snib that can be used to hold the locking bar in the locked or withdrawn position, when activated the snib will prevent key holders from using the lock from the outside. The lock is supplied with a high security dimple cylinder and 5 keys and can be fitted to a left or right hand gate. This offering from IFAM is slightly different than the others as the lock requires a euro cylinder to operate. 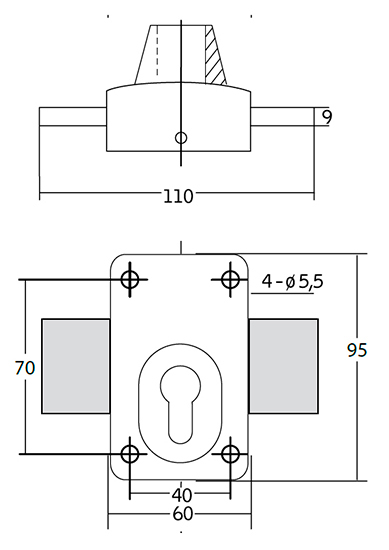 A double cylinder of either key and key or key and turn is required to operate this lock, allowing this gate lock to be included within a keyed alike or master key system. 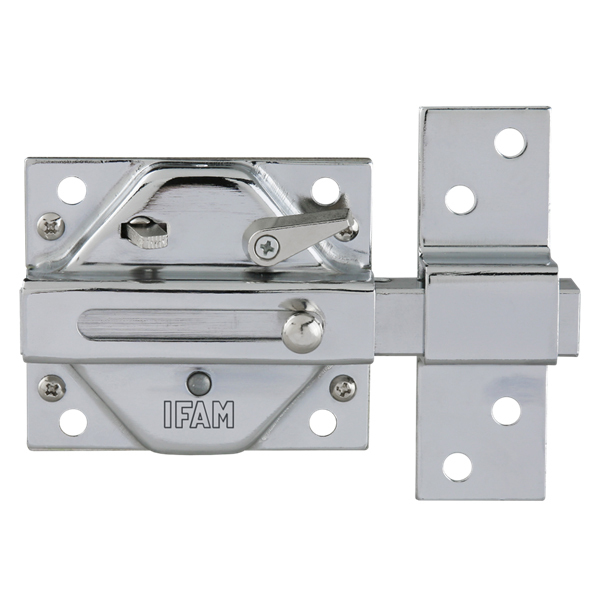 As with all of the IFAM gate locks, the body and keep is constructed of steel and has an epoxy coating for good weather protection, internal springs are also stainless steel.